Boog was born on June 27, l877 in Luzern, Switzerland and was brought to New York as a child. In the early twentieth century, he attended Ecole des Beaux-Arts in Paris. 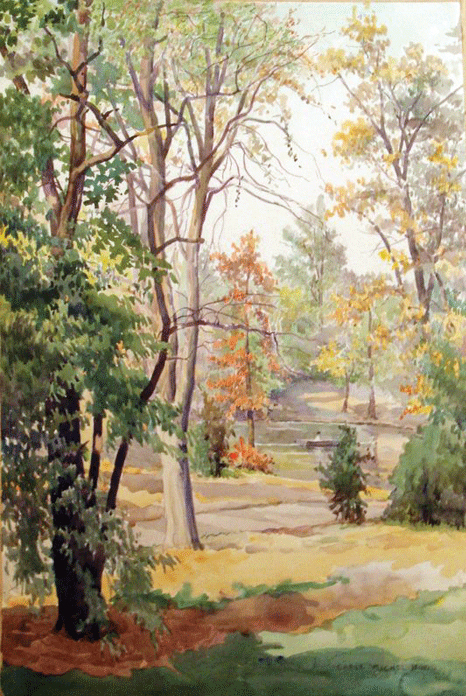 Returning to the U.S. he settled in Brooklyn, N.Y. near Prospect Park, the site of many of his paintings and sketches. He was for many years a member of the well known Salmagundi Club at Washington Square in New York City. Many of his works have been exhibited at the Salmagundi Club as well as the Bennington Museum, Vermont and the Brooklyn Museum in New York. His major works include oils and watercolors depicting landscape scenes. Much of his earlier works were in the area of book and magazine illustrations. Carle Michel Boog died in Brooklyn N.Y. at the age of 90 in 1968.